The DAQ411 modules digitize incoming signals at 2.4 GSPS. The on-board DRAMs provide up to 512 M x 10 bit data memory. The DAQ modules can be controlled by a PC via a USB interface. The clock input is single-ended 50-Ω terminated with a minimum power of 6 dBm. The digitized data can be downloaded, displayed, and analyzed on a PC. The module accepts a high-speed trigger signal for operations in burst modes. Two burst modes are offered: single burst and multiple-burst modes. 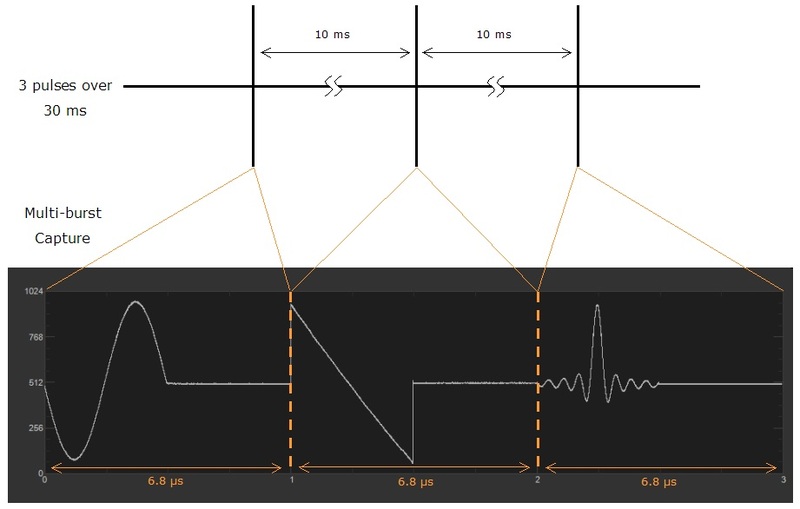 The multiple-burst mode allows users to capture multiple folds of signals with trigger events. The modules come with companion GUI and API. To get pricing information and the complete datasheet, please e-mail: info@euvis.com.